It’s the end of the month and time to assess how we are tracking fiscally into the new year. As we continue to reassess our spending habits and values, we still crave for a more simplified lifestyle. Not so much about spending less time at work, we both love our careers. But we both feel the need to spend more time with our family, our extended family and our friends. 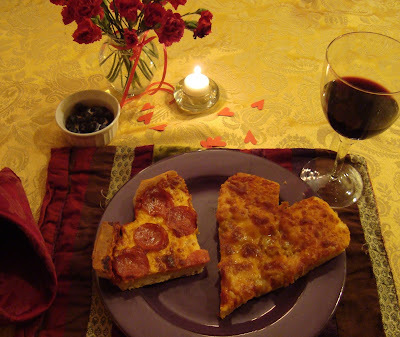 We love meals at home, movie night with homemade pizza and popcorn, playing dominos, cards or watching the boys take on marathon nights in the game of Risk, soccer games and story-time with our grandchild. Those times are starting to seem more few and far between. Staying healthy and fit is one of the best things you can do for your bottom line and your waist line. You get to that point where a little voice in your head starts to think that if you don’t get going, you’ll be too far gone to ever be fit again. How to get there? Aim high. Isn’t a triathlon on everyone’s bucket list? Are you in the Midwest? Check out the June 6th Pigman Sprint Triathlon in Palo Iowa. Not in the Midwest? Find a USA Triathlon sanctioned event near your hometown. Yes, we are recruiting first-time participants, preferably over the age of 50. We like good company and would be thrilled to have some still with us at the finish line. This year, it’s all about finishing and all the endorphins between now and June in prepping for the big event. Yes, Bob did it again. You must try this! Friday night we had Chicken Alfredo for 4 for $12. (Cost of paired wine excluded). 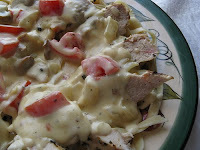 We followed the Alfredo recipe from RecipeZaar with the addition of ½ cup of shredded Asiago cheese. This sauce went over a bed of thin egg noodles from Kalona and was topped with chicken (cubed) browned in olive oil and 1 cloves of garlic. For a wine, we paired it with Mayo 2008 Sauvignon Blanc. If you are a die-hard red fan, then a pinot noir will work very well. Mighty fine dining at a mighty fine value! Have you ever received a gift where the wrapping paper is so beautiful, you can’t bear to toss it? I love to upcycle beautiful gift wrapping as linen linings in my dresser drawers. A special treat is to sprinkle them with lavender oil. Even if the paper only stretches for one drawer, I love the mix and match of each drawer having it’s own characteristics. Seeing the lovely paper when I root to the bottom of the drawer reminds of the event's special celebration day. 1) Relatives and parents for whom you have not yet mailed a valentine: Take a picture of yourself/family blowing a kiss from your phone; and then send off to their cell phone their ‘Happy Valentine’ picture-card. a. For your kiddos: coat pockets “Pocket full of love for you”, toothbrush “Your smile lights up the room”, math book “1-2-3, my love for you will always be”, I-pod “Your voice is like music to my heart”, steering wheel of car “Even when you drive me crazy, I still love you”. It’s Sunday afternoon, there's a lot of snow on the ground, it’s cold and we have no energy to do all the things we need to do. Solution: Escape on a mini 4-hour vacation. Last Sunday, we went out with another couple to chase away the winter day and take a time-out from our overwhelming list of 'not-done's. 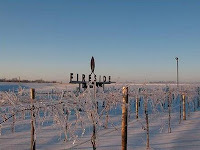 We landed at Fireside Winery, located in Marengo, Iowa about 30 minutes from our home. We had great fun browsing through their gift store and sampling their wines. Who knew Iowa could produce such lovely reds? Levi, our host, shared warm brie and bread with everyone in the tasting room. Our favorites? The Frontenac and Hearthstone, which pared well with the artichoke spinach dip, our meat and cheese plate, the good conversation and wonderful company. The scenery of the snow covered field was peaceful and relaxing. You don’t always need an expensive vacation to escape. There are discoveries to be made in your own backyard. We are at the front end of the suffering now. It was easy to see it coming when new houses were adding 2% or more to the existing supply for years and the population was growing at half that rate or less. The Census Bureau confirms that the number of empty houses has never been higher. Our office moved into a new location. With cutbacks this year, there was no budget for art. Our solution was to create our own artwork. To start, most everyone contributed at least one old necktie from their household. This past Sunday, volunteers pulled together and created the tapestry for our reception area, titled ‘Ties that Bind Us’. The backing, stuffing and neckties were all repurposed from previously discarded items. Our work of art is a great example of “Upcycling”, where you repurpose discarded items to give them a new life. Turning trash into useful items goes a long way in saving you money and the environment.